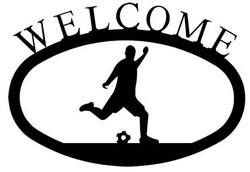 Welcome to Soccer in Angola, this website was made by Abel Escobar, a student from the school Luanda International School, better known as LIS. This website purpose is to inform you of soccer in Angola and to try and get you to interact with the soccer community by showing as many clubs as posible and tournaments etc. Please feel free to leave a comment or too in the last page of the website where a questionaire will be held. I hope you enjoy your visit and that you get a lot of useful information out of it, by the way this website will be updated so if you have any ideas or any information feel free to contact us (Last page will have contact info). Abel Escobar was born on the 25th of Febraury 1997, in Caracas Venezuela. Since little he was fascinated by soccer and soon started to play it. By the age of 10 he was playing in an Venezuelan soccer team called "Garotos" with which he participated in a tournament in Brazil. Not only did Abel play in an outside of school club but he also participated in the schools soccer team which went on many tournaments around the state of Anzoategui, Venezuela. But his school years with the school club came to an end when he transfered to Luanda International School. In a new school life is difficult but Abel adapted quickly and joined the junior soccer team. Before coming to school once again Abel joined a summer soccer camp in Barcelona, Spain supervised by FC Barcelona Coaches, "The experience was more than what I could have imagined, I learnt a lot of things and made new friends". By the start of his last year as an MYP student he joined the Seniors Boys Soccer which was supposed to go to a tournament to Maputo. The whole team including Abel trained for a long time, but in the end the trip was cancelled and many members stopped coming, but not Abel. Now he trains and waits for the next tournament coming up to show his opponents his skills. I have put this video here because I think it describes very well what soccer is: A Beautiful Game.